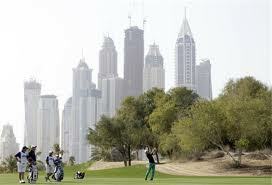 Golf is such a relaxing sport and very popular among the UAE residents. The equipment used for this game can be very expensive. Even the golf balls are quite expensive. Because of the growing interest in golf, there a a few Insurance Companies that are offering an excellent golf insurance policy. Listed below are a few of the features of a Golf Insurance package. Most people shooting a golf ball, usually hit it in the general area of the hole, but if the ball does go astray and causes property damage, you will have the insurance to cover any of the damage. This coverage also covers you for any type of injury to another person the limits of this type of insurance vary Company to Company, but you should ask for the highest liability limit that is available. This type of policy offers disability or sudden death coverage. The limits and list of the benefit coverage vary by the Insurance Company. Loss or theft of your golf clubs or any other equipment would be covered. It would insure your for accidental loss of or damage to your golf clubs, golf bags and other golfing equipment, including while in transit. This coverage will also cover the breakage of a golf club during play. The policy covers accidental loss or damage to a few of the personal effects you may take to the Golf club. There are exclusions to the policy such as it will not cover money, credit cards, or documents. Watches and any other type of jewellery are only covered if you were wearing the item or they were locked in your locker at the club. It is much safer just taking what you need to the club. Yes!!! If you happen to make the shot of your life and score a hole in one on any regulation golf course, we will pay a customary cash amount for the ‘nineteenth hole’ expense. In case your golf bag is delayed or lost by the airline for more than 12 hours, we will pay for the hiring of golf equipment to use for your stay. If you have ever organized a special event, you know how much work goes into the planning and the preparation of the event. There are some situations such as weather, that just cant be avoided. Having to postpone or cancel the event can be very costly. If you had hired a celebrity, music band or a D.J. to appear, the cancellation fees would surely be very expensive. Events usually have smaller contract agreements such as a liquor license, cost of food, servers and the actual location that was hosting the event. Check to see if they have any cancellation waivers built into their coverage. You do not hear about this type of insurance very often, but it is there for you to purchase. It is definitely a wise choice to purchase this type of Insurance. One of the perks is that they will pay for any profits you would have made if it had not been cancelled. You can meet Alfred to have your event insured!